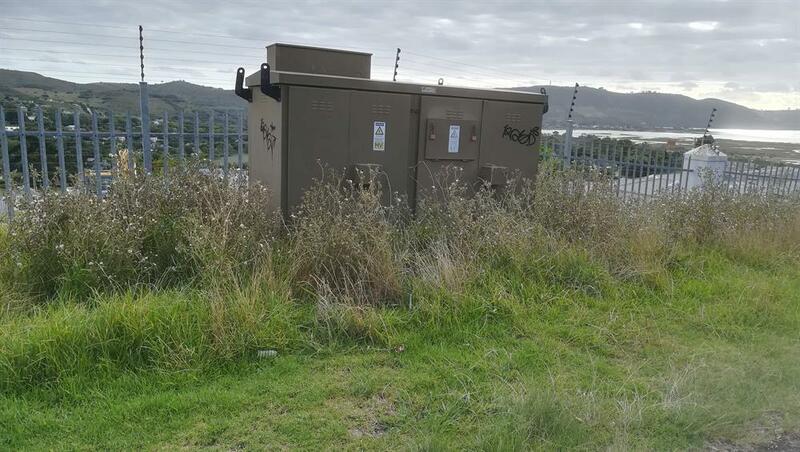 Before: Overgrown grass covers an electricity box in Fisher Haven. KNYSNA NEWS - Residents of Fisher Haven in Knysna who were up in arms over service delivery have now turned to applauding and commending the municipality and particularly mayor Mark Willemse, for attending so quickly to their pleas of assistance. 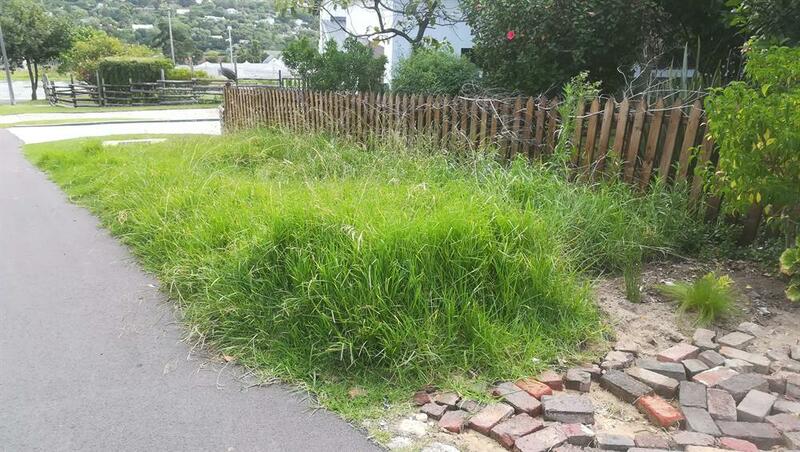 The vicinity around Galjoen, Katonkel and Barracuda streets was an eyesore, say residents, who lodged a complaint in December last year about uncut grass that reached knee-height and was overgrown on pavements and stormwater drains, and about missing covers on the drains. On 4 December last year, Glaudia Cloete sent an email to Willemse, pleading for his help in this regard. "Please can you send a team to give this area a much-needed cleanup," she asked. At around the same time and unbeknown to her, residents Ken and Irene Wright also expressed disappointment at the lack of maintenance and sent a similar email to the mayor. When Cloete's letter received no response, she wrote to the authorities again on 20 January. "Roads are deteriorating in Katonkel Street – the road was dug up for something and has not been repaired, weeds and grass have grown up to a half-a-metre tall, stormwater channels are overgrown and blocked," she wrote, and again urged urgent attention to the matter. Wright said she, too, followed up on the matter with phone calls. This time Cloete did get a response from Willemse. He explained that the municipality undertook a project to empower local small contractors through an economic development programme with contractors in all wards in Greater Knysna for the maintenance of green spaces. 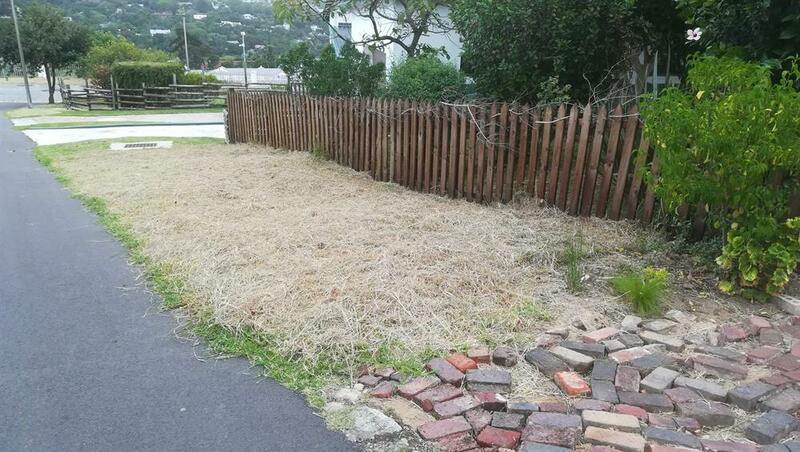 Before: Streets along Fisher Haven were dotted with unsightly overgrown grass. After: Neat and tidy street – the result of municipal maintenance. "Initially it worked well but the scope of work turned out to be too much for these small contractors to manage and the contracts ended in September 2018. With very little time before season and having a new community services director start in October, it was decided to focus mainly on the tourist areas of our town during the holiday season. Extra staff will be brought in to now bolster the department to reach areas which have been neglected in the past as most of the residential areas require maintenance… I will ascertain what the timeframes are going forward," he wrote. Cloete expressed that although she appreciated the response, the situation was "disappointing" and that she would wait for the timeframes. Just a couple of days later, however, teams were in place, cutting grass, neatening sidewalks and attending to other maintenance matters. 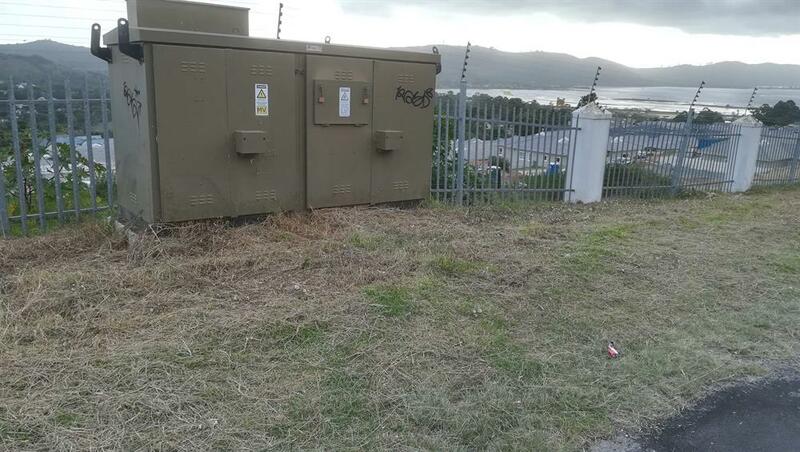 After: Easy access to the electricity box due to the cutting of grass by the municipality. So Cloete wrote again to the mayor: "What a pleasant surprise to come home this afternoon to find most of the long grass cut. Thank you for giving this situation your attention. Your efforts are greatly appreciated," she stated. Wright was equally delighted at the action. "The municipality must get credit where it's due, and all residents of Fisher Haven appreciate the maintenance. We do pay rates and taxes for this very services," she said. Cloete concluded: "The roads and stormwater channels still need repair and maintenance, but we are very grateful for the cleaning up that has been done."